Define larrikin? Define high society? Define old boys network…. Things are not looking particularly rosy in the upper echelons of Australian society and the media world as media titans, billionaire James Packer and Channel nine boss, David Gyngell took to brawling over the weekend purportedly over top model Miranda Kerr. The pair who have ostensibly in one single afternoon reinforced the image of Aussie louts brawling with disregard for panache or grace have since the fracas kept a tight lid, each declining to speak publicly about what led to the fist fight off Sydney‘s Bondi’s Campbell Parade. An area infamous for young grogged up beach goers sometimes revealing too much skin, slur of the words and the occasional slip of the tongue, but hardly the expected manners of the cream of Aussie society. 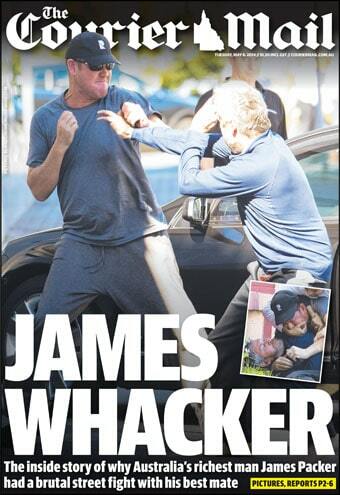 According to local media, James Packer copped a savage black eye whilst media boss, David Gyngell came to lose a tooth. While it is believed David Gyngell had sought to quell unease between himself and James Packer, purportedly over reports that Packer was romantically involved with top model, Miranda Kerr, it is also thought that the pair’s bad blood goes beyond Packer’s annoyance that the Channel 9 boss had orchestrated the planting of a satellite tv news van outside of his Bondi home, presumably to catch him getting it on with Kerr. Tells the UK’s independent: The fireworks began when Mr Gyngell – chief executive of Nine Entertainment, which owns the Nine Network – drew up in Mr Packer’s driveway in a white Audi SUV. Barefoot and unshaven, he had just been surfing at Bondi. According to neighbors, he conducted a heated, expletive-laden phone conversation during which he threatened to punch his interlocutor – presumably Mr Packer, an international casino mogul. Moments later, Mr Packer arrived in a black chauffeured sedan. “Within seconds it just exploded,” said the photographer Brendan Beirne, who had been staking out the flat. “They were beating the hell out of each other.” Some of the photos already circulating show Mr Packer scarlet with rage, his neck veins bulging. 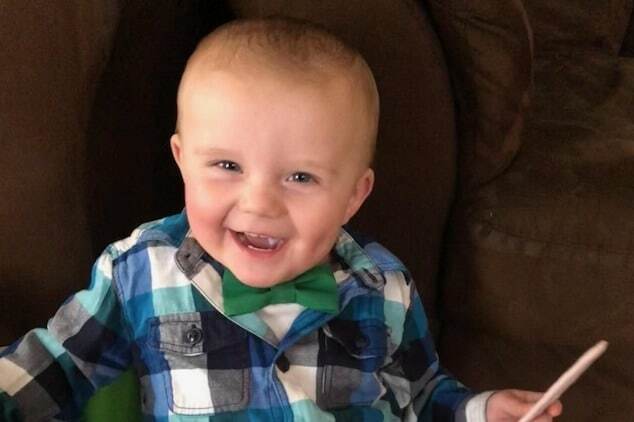 It took three men – including Mr Packer’s driver and security guard – to pull him off. Since the fracas, questions have been raised as to why the two louts, had they been ordinary Aussie blokes had not been both locked up? Can anyone guess why?